As Christians we have to understand that Jesus did not come here to establish a religion. I believe many of us Christians are misrepresenting Christianity, just by seeing how others view us as….as people that are intolerant to anyone other than Christians. This is enirely untrue; we would be misrepresenting Jesus Christ, if this is how we are coming across, to nonbelievers. Just look at how Jesus conducted His Ministry while He roamed this earth? He never discriminated by the class of people He associated with. Instead He said, “I have come here to be the Pysician of the spiritually ill.” He chose His Disciples from all different walks of life; and preached to both believers and non-believers. And when He died on the Cross at Calvary, He did not only die for Christians. He died for ALL OF MANKIND. He came here to show us, how God wants us to lead our earthly lives. Jesus endured all the human trials, any human being could endure on this earth….but fought through all the temptations of the devil to get Him off of God’s Path, and still live accordingly to God’s Laws. 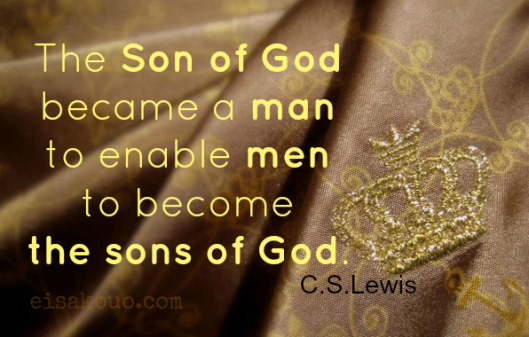 Of course Jesus had the strength of God within Him, being the Son of God. There is only ONE Jesus Christ. We are humans, and we must request that strength from God, so that we can endure the trials Satan throws at us, to throw us off the Path of God. As the days go by, we see Jesus’ Name and any memory of Him, trying to be eliminated on this earth. Christians are being perseuted in all of the four corners of the world, on every continent, purely for their belief in Jesus Christ. There are many each day that die in the Name of Jesus Christ. Women, Men, and even Children who simply are not using force, but killed for preaching the God’s Gospel. CHIRSTmas Time, has now become “Holiday” Time; or “Xmas” time, as if to “X” out the CHRIST. We see images of Him being taken down. I think one person put it best when they said, it seems when people refer to “religious freedom” that they mean “free from religion”. Why would Jesus, as the Son of God, come to earth? What we have to understand is that Jesus Christ came to this earth to establish God’s Way of Life, which are ways of nonviolence, tolerance for differences, and uncondtional love and forgiveness. In fact, Jesus came back to reestablish a new code of conduct through is Golden Rule of, “Do Unto Others, As You Would Have Done Unto You.” He also said, “The old law says, eye for an eye. 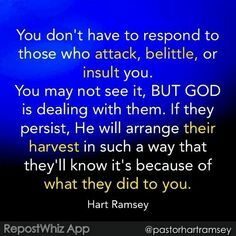 I have come to correct that, and you must turn the other cheek.” When God says He is not of the ways of this world, we as CHRISTians, just as Jesus CHRIST did must not react in accordance to our sinful human nature. Jesus not only told us, but showed us through His Life and death, that we must live in ways of Love. God loved us so much, that He wanted to save us from being permanently in Evil’s Hands. Evil intended to keep us within our sinful human nature, which Satan soiled upon introducing sin into the Garden of Eden. So God Decided in order to restablish Mankind’s Pathway back to Him, He needed to send down a part of Himself, to show us one final time, how we are to live in accordance to His Ways, while living on this earth, and to die, in order to conquer Evil’s grasp over Mankind, and to take on Mankind’s sins, as His Own. The Ultimate Act of Selfless, Unconditional Love. Only Evil will think by limiting earthly images, silencing God’s Servants, pictures and books of God’s Gospel, or anything having to do with Jesus Christ, will make Mankind forget who Jesus Christ is, and what He did to conquer Evil. As Christians, especially, we should have God’s Words…His Life Example…and His Selfless Act of Love at the Cross, so engrained within ourselves…in our hearts and souls, that we would not need such earthly reminders to be the cornerstone of our faith in God. God has to have taken root within your own heart and soul. He has planted those seeds of His Connection to you, at the time you were conceived in your mother’s womb. And just like anything else, if you care about the relationship, to make it stronger, you must spent time nurturing it, so that it can become more resistant to evil’s destruction. For those roots to become stronger; for God’s ties to you to become stronger.We were created from God. When earthly logic has failed us, we innately go to God for help. It is moments like these that allow for us to break away from this world (which is now running rampantantly with evil) and allow God to enter and take even deeper root with you, than before. Jesus Christ wanted for our lives to represent what He is; and to remember and believe in the teachings He lived while roaming on this earth. If we require to go to statues, or pictures in order to be reminded of our faith, that don’t we become idol worshippers, which is in violation of the Laws God handed over to Moses, with the 10 Commandments? Jesus showed us through His Life, that we are to live God’s Gospel with our lives. The moment we become hung up on such earthly reminders, can we claim that we are strong in our faith? We should not allow for intolerance of our faith, where evil is trying to suppress the memory of Jesus Christ, or even discredit His Teachings and Death on the Cross for Mankind’s Salvation. At the same time, we must remember that Evil has not succeeded thus far in ridding the memory of Jesus Christ, even after 2,000 years since His Death. It is from perpetual belief by Christians to spread God’s Gospel, and in remembering Jesus Christ’s Death on the Cross, that we remember how much God Loves Mankind, and that He saw us worthy enough to sacrifice His Own Son, to take away the sins of the world. But we must conduct ourselves in the way Jesus Christ did, to Honor God, and to be able to enter the Gates of Paradise. God called us, as we see with the example of Jesus Christ’s Life and Death, to be nonviolent, loving, forgiving, and tolerant…to uphold His Divine Laws of Love. While upholding God’s Laws, He was falsely accused and convicted of a crime He did not commit…but He turned the other cheek…to the point of Death on the Cross, in order to uphold God’s Divine Laws of Unconditional Love. How strong is your faith? Is it strong enough to follow God’s Divine Laws of Uncondtional Love; to the point of not giving in to sin stained, human nature…and “turn the other cheek”, just as Jesus Christ showed us? This entry was posted in Thoughts and tagged Battling Evil, compassion, discernment, Evil, evil ways are temporary, Eye for an Eye, Faith, Fight over souls (good vs. evil), God, God's Love, God's Unconditional Love, God's ways are permanent, God's Wrath, Jesus and His Crucifixion, Jesus Christ, Justice for "the Just", Nonviolence, Path to Truth, Persecution of CHRISTians, Refiner's Fire, Satan's deception, Spiritual Journey, Trials and Tribulations, Turn the Other Cheek, Unconditional Love, unconditoinal love on April 6, 2013 by foodforthespiritualsoul.